All celebrities were not born with perfect smile, even those, who are well known for their perfect smiles like Tom cruise. Over 70% of the US teenagers used to wear dental braces, including many teenage movie stars, singers, athletes and other celebrities. You can say, well this is pretty normal to wear braces in childhood or teenage, but surprisingly, some adult movie stars and other famous people can be seen before camera with not only teeth braces, but sometimes with headgears also. Many of us may think that braces are cool, but for those who have actually worn them, they are like a strait jacket for mouths. People like me, who have terrible experience of braces, know very well that how tight and confining braces are and how braces poke and prod at gums, lips, and tongue. With braces eating, talking, and drinking become a chore. 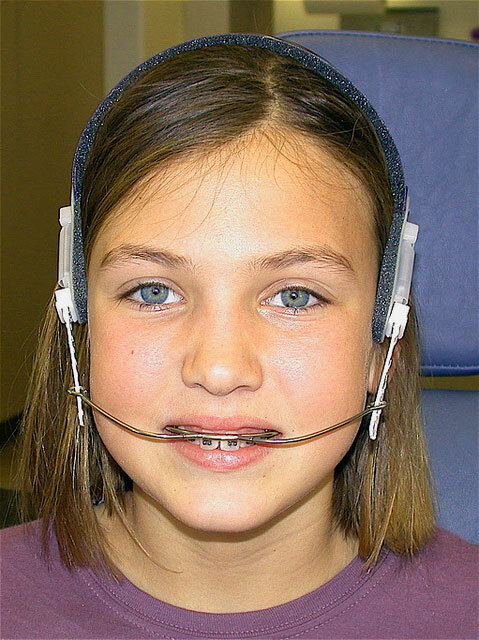 Headgear is something more worse than braces but as mentioned above that some celebrities are there who were found before camera with headgear braces. I agree with you that it is totally beyond the possibility but we have such examples. From singers and actors of all ages, we can easily find celebrities who were certainly not born with perfectly straight teeth, so they had to resort to braces like the rest of us. In order to do so, age don’t matter. Although some of these stars were conscious about their appearance and opted for Invisalign or clear brackets, but surprisingly, a lot of them went with the traditional metal brackets as well as headgears. Out of the box fashion trend or to show that are also normal humans with imperfections can be reason behind such brave acts. To imagine that celebs will never be totally normal, is somehow possible but seeing them in braces and with headgears is definitely something strange. Here are some, about which it’s hard to imagine that they could also in need of some beauty solutions. 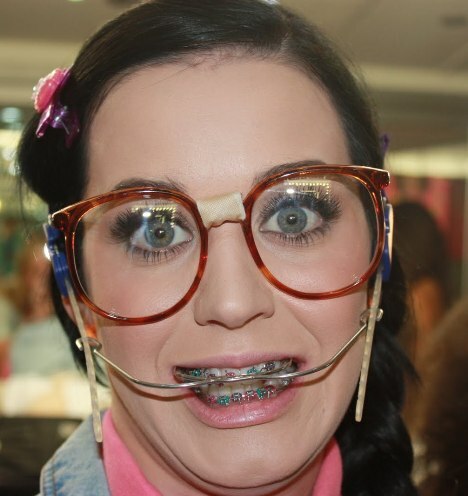 Katy Perry is considered most brave in terms of having braces before camera. She didn’t mind suffering for her art and did just that when she got braces and even a head gear for her music video titled as Last Friday Night. In this way, Katy Perry did give all of her braces and headgear-wearing fans a little love and inspiration. Yes, it’s obvious that Angelina Jolie is one of the most prettiest women. She has an image of superwomen but she was bit different in her past. She married to Brad Pitt and now a days, serving as an ambassador in the United Nations, but that was not always the case. But this is not specific for her, everyone have to start somewhere. In high school, Jolie was not the big girl and had a mouth full of braces. She did start as an actress back, once she turned 16. The braces eventually came off, and she broke out into stardom. Another one about whom,It seems that we have seen everything. Yet many of us were unaware that Brit once walked around with a mouth full of metal. Even she still had to wear a retainer full of spittle. According to some, she had has also headgear braces. But about braces , she has bit different opinion like She said that she liked getting her braces because she thought they were cool and made her look like a teenager. Actor Jeremy Piven with braces was looking like a pre-teen brace face. You can easily find his braces look by searching the Internet. Back in the day when he was just a wee lad, Jeremy was donning a train track of metal on his front and bottom teeth. Though it was cute, but by no means ,hot that he would eventually show off in Hollywood. Now even though he is 50, but he still looks great. Like all others, Drew Barrymore’s had also that awkward headgear braces phase. Drew was able to rock those braces, but she definitely has blossomed into a much more attractive adult. Not only braces but She completed the look with a face full of baby fat. But what an improvement we see now! Drew has become not only beautiful, but she is still highly successful and talented.